mocoworm wrote: ARCADE CLUB: The UK's best kept gaming secret. Arcade Club is the best kept secret in the UK gaming scene. I went last month and I have been counting down the days till my next visit, which will be this Saturday! It's in BURY which is just North of Manchester, and about 30 mins from my house which is how I know about it. It is only open Friday, Saturday and Sundays. Check the site for times. It's a really simple business model. 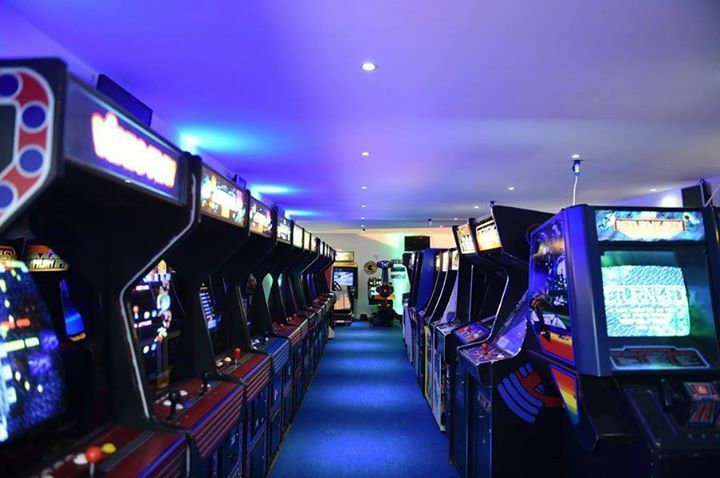 That's right, from 11am till 11pm you just pay £10 entrance fee and every machine is set to freeplay. All the machines have a button next to the coin slot, and you press it to add credits. They have engineers walking around fixing and maintaining the machines all day. This documentary ( https://www.youtube.com/watch?v=MT5plfWuAwk ) was made and shown on UK TV about the couple that started it. They do no promotion, they just have word of mouth and social media spreading the word and the success of this is clear to see, as in the last 6 months they have moved premises 3 times and now occupy the entire 3rd floor of an old mill building. They were collectors of cabinets that decided to turn their hobby into a business, so they are real genuine gamers and really nice people. They are there all the time. Anyway, I can't recommend it enough. You can always play on a machine, there are no queues for games. £10 is an unbelievable price for 12 hours gaming. I couldn't decide what to play at first and was just everywhere playing everything, but after a while I settled down and focused on Wonderboy, Nemesis and Out Run. They have every game you could wish to play. I kept thinking, 'I wonder if they have X game' and then I would find it, just waiting to be played! Plus I got to try VR for the first time. In-between the cabinets, all around are huge LCD's with XONE's and PS4's plugged in. In the rec area the Oculus Rift is available plus a SNES with MarioKart hooked up to a huge TV. This Saturday is my birthday and I will be in there all day. If you read this, you are invited to join me.